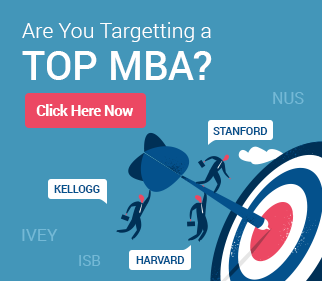 Getting an MBA degree has gone far beyond what it was and while better employability is still one of the prime reasons, top business schools from around the world are aggressively pushing their programs with assurances of a great network, life-changing global experiences, the best ROI’s and a versatile program that can be used in any career. The oil-rich middle eastern countries and its economy are booming and so leaders with a fresh and global perspective are always welcome. With business schools in UAE still in its nascent stages, the younger population is looking outside for a more well-rounded education that can be used on a global stage. On the other hand, to tap into the business of a vibrant education market, several top business schools from around the world like, London Business School and INSEAD are opening up campuses here. A 13% growth in the demand for MBA’s from around the word means that the demand for those with an MBA degree has never been this high. The study also shows that MBA salaries have taken a leap for the better with Switzerland topping the list at an average compensation of $140,000. European universities (with the UK faring the best) offer the quickest return on their investment – within 39 months as compared to 55 months in North America making Europe a far more attractive destination for those wanting to get an MBA degree abroad. Immigration norms and trump’s policies: Ever since Donald Trump has taken over, there have been doubts and security concerns for students coming in from the middle eastern countries. 23% of international advisers confirmed that middle eastern students were most concerned about their safety while 46% of students were quoted as being concerned about getting a visa and maintaining it. While the UK seemed to be struggling with its own uncertainties with regard to Brexit, the concerns do not seem to be as great to affect the application numbers. So, UK, Europe, Canada and Australia seem to be far more appealing to applicants from UAE. Tuition fees and Scholarships: There are tons of options when it comes to scholarships for students coming in from developing countries such as Saudi Arabia, Bahrain, Turkey, Egypt, Jordan, Qatar and so on. While individual amounts may differ along with details, most business schools offer generous amounts by way of merit-scholarships, government funding and grants to cover tuition fees. Compared to the US, the tuition fees charges by business schools in Europe and other countries are far more reasonable making them more attractive. The Rhodes Scholarships supporting students from Syria, Jordan, Lebanon and Palestine is one of the more well-known scholarships. Ranking and Jobs: While most students looking for information about top business schools from around the world look for rankings (96% of students look for business schools and their rankings before looking further), a critical factor in the decision-making process is the prospect of moving up in their careers and this could be a better job, starting their own venture or moving up the ladder in their organization. HEC Paris is also a prime destination for several students traveling from UAE, Dubai and other middle eastern countries. Peter El Khoury, class of 2017, chose HEC Paris for his MBA when his career in construction and engineering did not seem to interest him much anymore. A strong desire to start his company in Lebanon pushed him to explore courses that would help him network with the right people in the right environment. HEC helped him to recognize his capabilities and the need for a truly global experience before he can pursue his goal further. An internship at Roland Berger, Dubai led to a job offer which is where he is currently. Mahmoud El Deeb is currently the Vice- President of Sales at Huawei Technologies in Qatar. Salaam technology provides cutting-edge technological solutions to companies helping them to maintain their competitive edge. Mahmoud as the managing director helped un creating this company by spearheading a merger. Apart from this, he was the mentor and the go-to person for over 500 employees of the company. However, there was a pull towards Entrepreneurship and Innovation which was stoked by a one-year certification in the same at Babson’s college in 2015. His interests in the middle east encouraged him to look at HEC Paris where he completed a two-year Executive MBA course in 2016. Coupled by his past experiences as a head of the company and the exposure to current technologies such as Artificial Intelligence, Internet of Things and Big Data at HEC, he has been able to explore new avenues and is continuing to do so. INSEAD is one of the best business schools in Europe and with campuses in France, Singapore and Abu Dhabi offers a truly global experience. If management consulting is where you would like to be, then INSEAD is the best bet. About 35% of the class of 2017 were placed in Consulting jobs with McKinsey &Company hiring 125 of the INSEAD’s Graduates. Mohammed Ashghar, INSEAD, class of 2018’ started his career as a field specialist at Islamic Development Bank, Saudi Arabia was recognized for his leadership skills and soon moved up the ranks within a year in the organization. He soon founded the Sha6er Education- an online education company. For this he won the Science and technology startup of the year award. INSEAD’s diversity and a 360-degree view of the business world and a great track record for placements in consulting is what attracted him to this school. He hopes to make it big in the consulting industry and eventually join the Saudi Government in its endeavors to create businesses focused on on-oil dependency. London Business School is one of the best as far as a career in financial services is concerned. It was ranked number 1 amongst European business schools in 2017 and the class of 2017 represented 68 countries overall. A closer look at the class profile reveals that 28% of the class has a financial background. 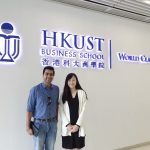 Also, the Global Business Experience that is part of the curriculum provides vital experience in applying concepts in developing countries such as the middle eastern countries, India, Peru, China and so on. Muna Al Gurg, was the chief of marketing in her family-owned business but she felt that she lacked critical strategic planning skills needed to contribute sufficiently. After an Executive MBA course at LBS, she took over as Director of Al Gurg – a conglomerate with a diverse range of products and business interests. Apart from contributing effectively to the business, she has been able to pursue her passions of giving back to the society by setting up education funds and setting up several other entrepreneurial initiatives. S Mustafa Razvi, a former banker and financial associate, had done it all- been a consultant, started new businesses within a firm and developed start-ups as an incubator as well. There was however a longing to contribute more strongly towards social-economic outcomes by leveraging the latest technology. 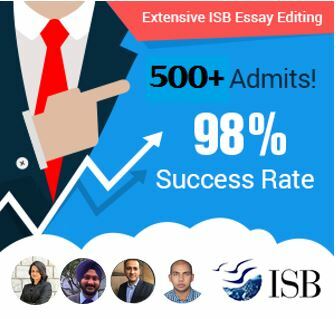 Having lived in Pakistan, Saudi Arabia and Dubai amongst many others, he felt a strong urge to convert his experiences into something more meaningful which led him the LBS (London Business School) MBA. Once done, he knew he would have the aptitude, the mindset and the expertise to bring about the social change he desired. With a focus on entrepreneurship and an emphasis on using statistics and big data to guide big business decisions he hopes to be able to take his career to the next big level. IMD Switzerland has always stood out for its ability to work with corporate organizations worldwide to create a positive business impact. Apart from programs that are tailored for business executives or CEO’s, IMD has been able to bring the right insights, tools or mindsets to create the right impact within and outside the organization. One of their biggest focuses has been the ever-changing definition of leadership which seeks a better contribution towards society, an adaptation of new technologies with minimal impact on employment and a truly global approach. Seeking to provide an immersive experience with regards to business contexts and specialized industries in a specific region, the EMBA class of 2017 traveled to Abu Dhabi and Dubai. Abeer Hazboun Sader’s earliest achievement was an educational program called MEET- Middle East Entrepreneurs of Tomorrow. This program was centered around young Palestinian and Israeli leaders. Amongst many other accomplishments, the one that was close to her heart was bringing employment to several in the Bethlehem area. Her lack of formal business training and the focus on leadership and diversity led her to IMD. She is currently the Quality manager at Philips Morris International in charge of science and innovation of bringing in reduced risk products. The middle eastern countries have become an attractive investment hub in the last couple of decades and this has upped the demand for fresh thinkers and leaders who can change or adapt businesses according to the fluctuating needs of organizations. Saudi Arabia, Kuwait, Dubai and Abu Dhabi have become the focus of some of the best business schools from around the world. They are setting up campuses with the best faculty, curriculums and methodologies that have been catered to suit this region.